Operating under Air Carrier Certificate #2PIA602N, Latitude 33 Aviation provides the private charter services you expect with the exceptional personal service you deserve. Our fleet of aircraft is available to serve your travel needs and ensure you enjoy the flexibility and convenience that private charter aviation provides. Experience travel without compromise when you choose Latitude 33 Aviation for your private charter services in and around Los Angeles, San Diego and beyond. Eliminate the stress from your air travel experience, save yourself the time and hassle of flying commercially and travel where you want, when you want. 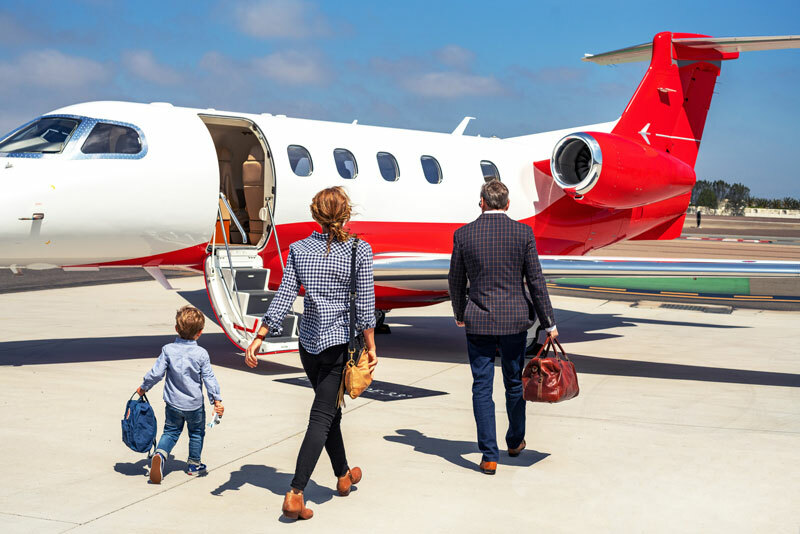 Our private jet charter flights will have your wheels up within minutes of arriving at the airport, bypassing the long lines and waiting that is experienced with commercial airlines. You’ll be able to access more destinations, putting you closer to where you want to be when you land. What’s more, you’ll fly in unparalleled comfort and privacy. Latitude 33 Aviation manages the newest and largest fleet of light jets in the United States. With luxury seating for up to nine people and free Wi-Fi service in most models, our fleet offers you many options for flying in comfort and class. Not all jets are distinguished as “Best of the Best,” but the aircraft that make up Latitude 33 Aviation charter fleet are. The Robb Report editors selected the Cessna Citation CJ3 as “Best of the Best Business Aircraft” in the Light Aircraft category. Our charter private jet fleet also includes the award-winning Embraer Phenom 300, which is the world’s most delivered business jet four years running. With the largest baggage compartment, largest windows, and best cabin pressure in its class, it is easy to see why the Phenom 300 is a favorite among passengers with discerning taste. 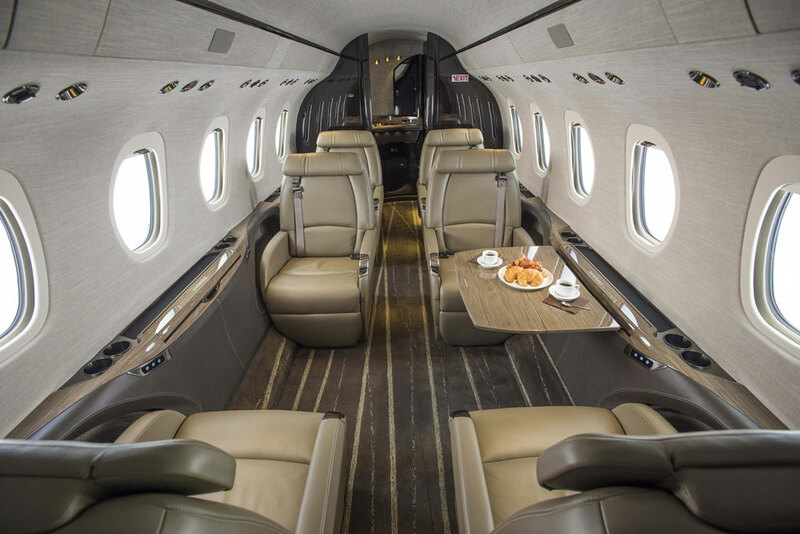 In addition to these best-in-class aircraft available for private jet charter flights, our fleet includes some of the newest, most luxurious and advanced aircraft in the industry, including the Cessna Citation Sovereign, XLS+, CJ4, M2 and Embraer Phenom 100. Latitude 33 Aviation has provided an unparalleled aviation safety record since our inception in 2006. With over 35,000 hours of safely operated aircraft, you can rest assured that you are in good hands. As one of the elite private jet operators to have been awarded the industry’s highest safety rating, ARGUS Platinum, we are among the top five percent of charter operators worldwide. Two main factors contributing to our safe operations are the aircraft we choose and the flight crews we hand-pick to fly those aircraft. You have the power to travel on your schedule and your terms with Latitude 33 Aviation. Enjoy aircraft availability with minimal notice, and fly directly to the destination of your choice without connecting flights — even in remote areas. Day or night, travel to your destinations throughout Los Angeles, Southern California and beyond. Private jet charter eliminates the hassles of flying commercially and allows you to spend your time productively. Departing within minutes of your arrival to the airport and bypassing baggage check are just two of the ways your travel experience is enhanced by private jet charter. Thousands of additional airports that are not available by commercial airline travel instantly become accessible when you choose to fly with Latitude 33 Aviation. The ability to land closer to your final destination will save significant drive time and will allow you to arrive more refreshed. Additionally, you have the ability to make multiple stops along your route of flight, enabling you to access more sites and plan more visits than would be possible utilizing commercial airlines. The ability to travel in the comfort of your own aircraft allows you to prepare for an important upcoming business meeting more productively, or to relax and rest in private. Whether traveling with family or business associates, you can turn travel time into quality time.